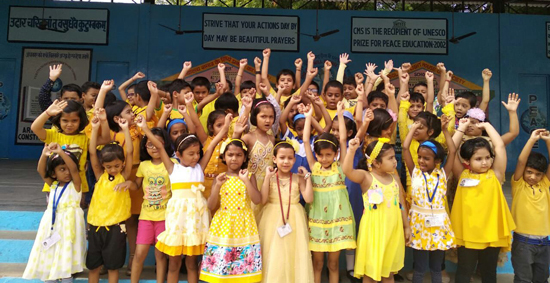 The preprimary section of Aliganj Campus I was soaked in Ganesh Chaturthi celebrations. Modaks & laddoos were distributed amidst the "Aarti" performed by the Vice Principal, Mrs. Lipika Kale & the headmistress, Mrs. Ranjana Bharti. Children present a skit on "Corruption"
Class 11 B of Aliganj Campus I presented a skit to promote the "Anti-corruption drive, now spreading in all nooks & corners of our Nation. The assembly incharge - Mr. D. P. Singh with the class teacher; Mr. Rajnish Mishra were the teacher - mentors. The staff & the children enjoyed the beautiful presentation! Aliganj Campus I staff as well as the students participated in the prayer ceremony of Lord Vishwakarma during assembly today. The principal & the vice principal blessed us on this auspicious day & reminded us of its significance. We need to get inspired & follow on the footsteps of the Lord of Architecture! As we know " Peace is the backbone of development of the society and hence should be preserved at all costs." 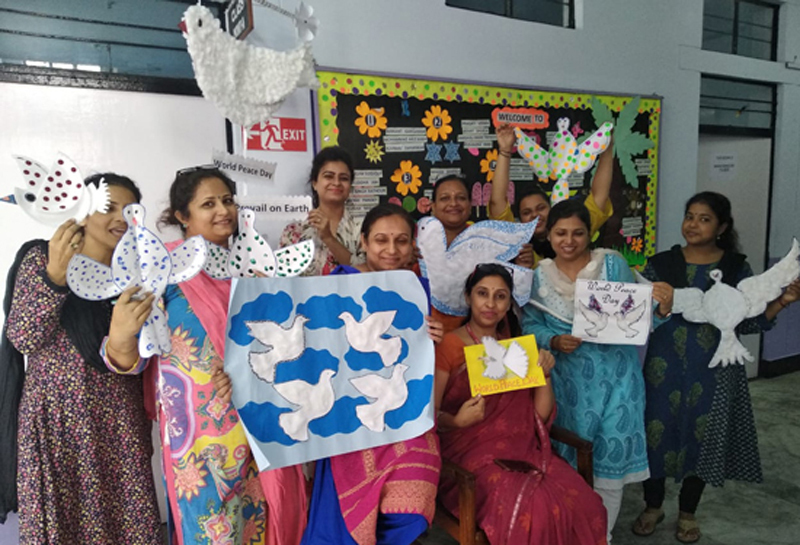 Our learners of Pre primary section of Aliganj Campus I celebrated "International Peace Day" along with their teachers. Group activity was taken up in every section. They made "doves" as a symbol of PEACE with cotton pasting, finger/thumb printing & tearing/pasting. 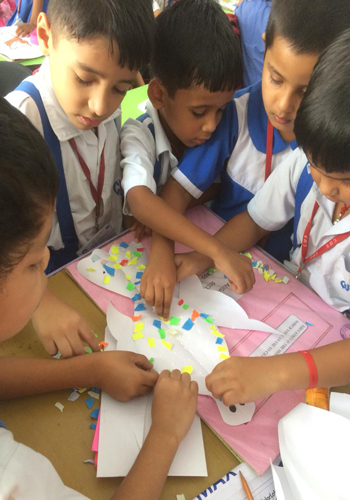 A message was also conveyed through those activities that we are children of one God & we shall remain in Peace." CMS Aliganj Campus I participated in World Environment Day activities ! CMS Aliganj Campus I students participated in the drawing and painting competitions and slogan writing activity organized by the Ministry of Environment on the occasion of World Environment day at BSF quarters. 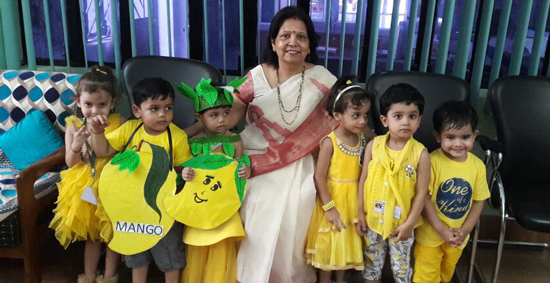 Preprimary students of CMS Aliganj Campus I celebrating the mango festival. 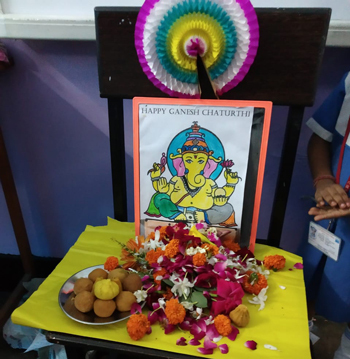 The festival of Education (Vidya ka Parv) was celebrated in CMS Aliganj Campus I & students were welcomed on the 1st day of school after a long summer break. Tika was applied & devotional songs were sung in the special assembly organised by the staff.